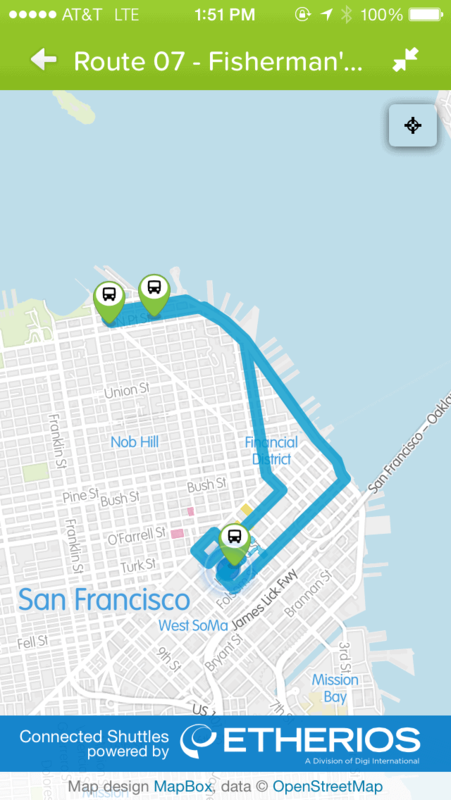 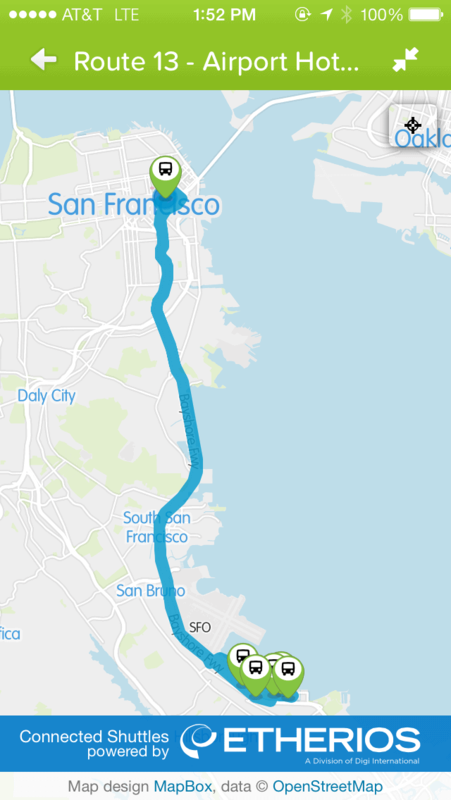 We just connected 100,000 Dreamforce conference attendees with 60 shuttle busses, tracking them over hundreds of miles of San Francisco area routes. 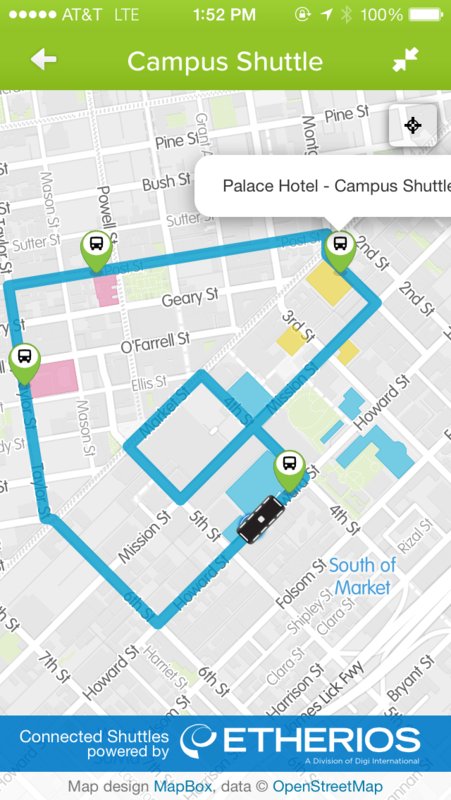 And it worked perfectly! 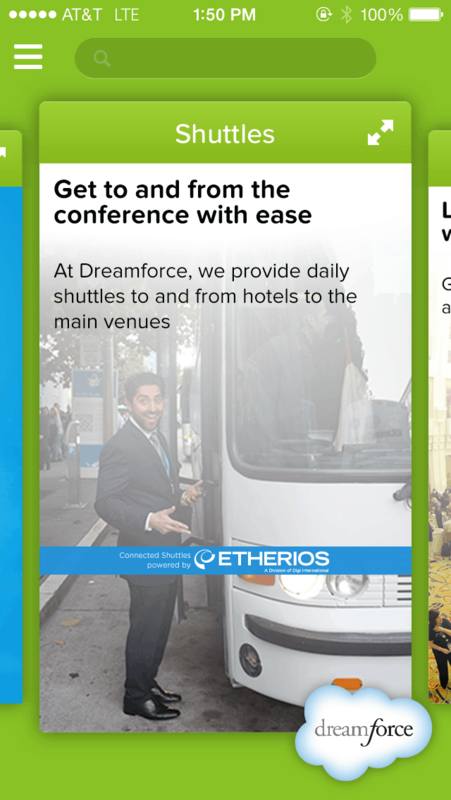 Digi’s Etherios division teamed up with the Dreamforce folks to provide attendees with real-time information on the status and location of the shuttle buses they use to get around to different event locations and to Bay Area hotels. 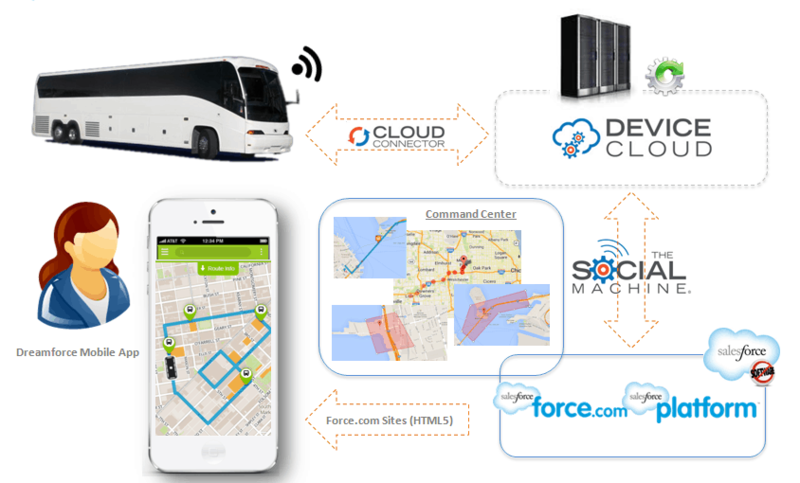 It’s a great example of the Internet of Things coming to life and creating real-world value for a business and its customers. 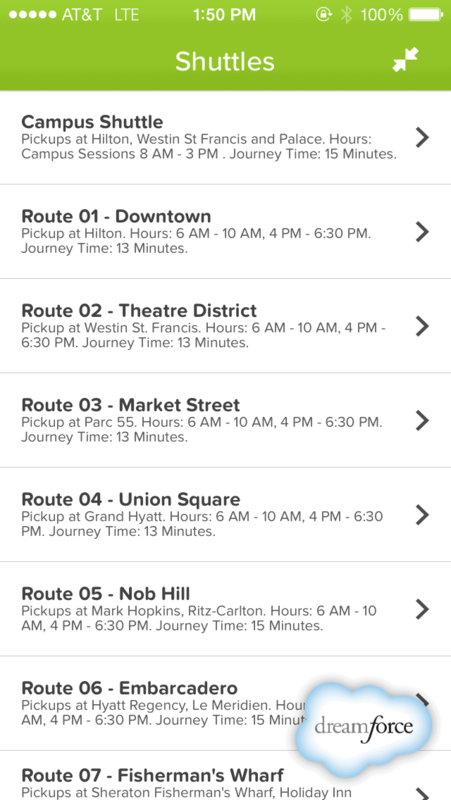 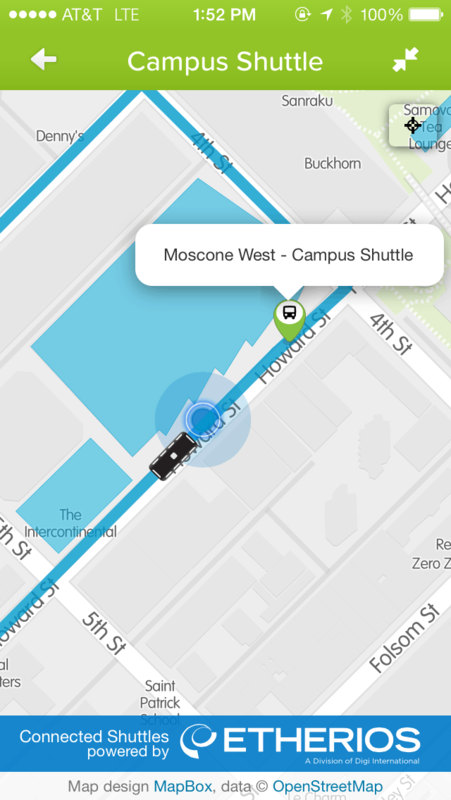 Attendees used the Dreamforce Mobile Application to quickly map where their next bus was along with arrival and departure times. 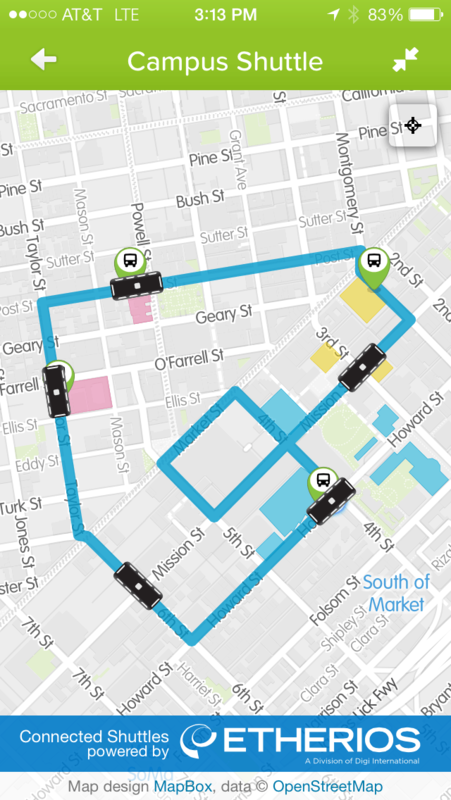 The Etherios Cloud Connector running on an Android platform acquired GPS location data from each shuttle. 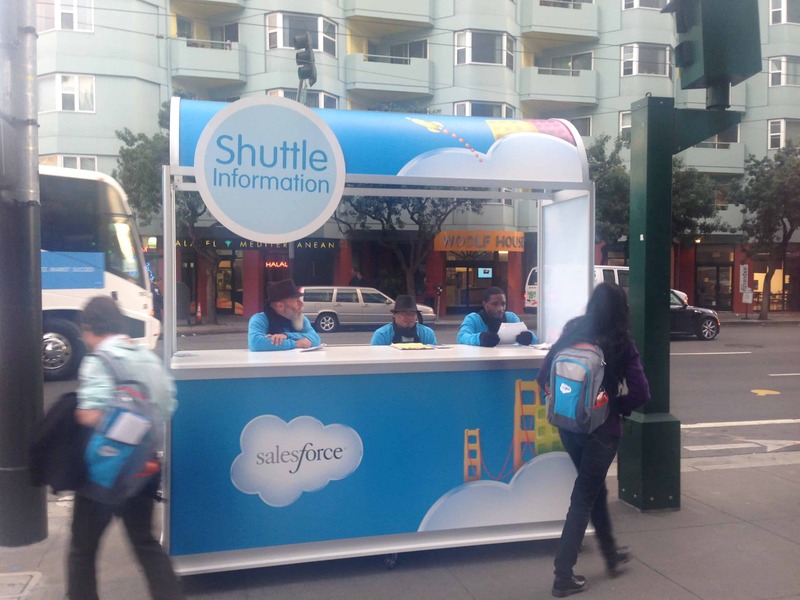 Next, Verizon Wireless sponsored mobile connectivity to Device Cloud, which then used the Social Machine from the Salesforce App Exchange to gateway the Connected Shuttles, their data, reporting, alarms, processes and resolutions into Salesforce. 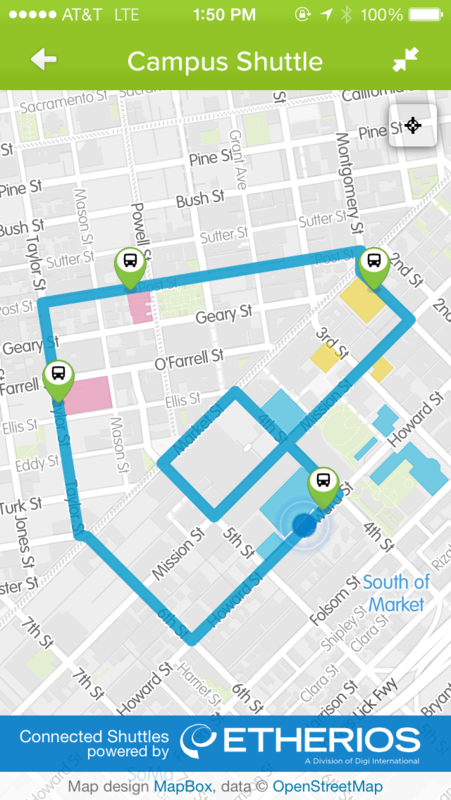 Mapbox provided all the wonderful maps. 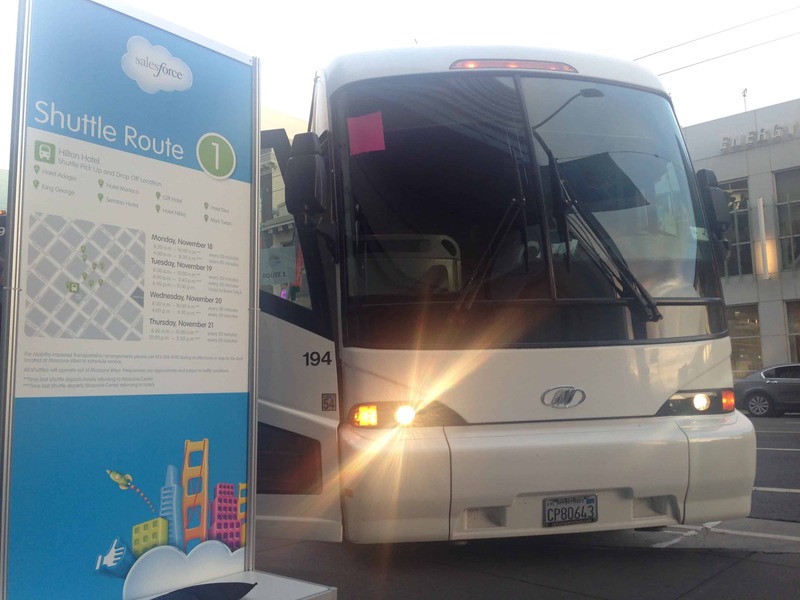 100,000 attendees tracked the 60 coaches, displayed their routes, stops, movement, arrivals and departures over the course of the entire event. 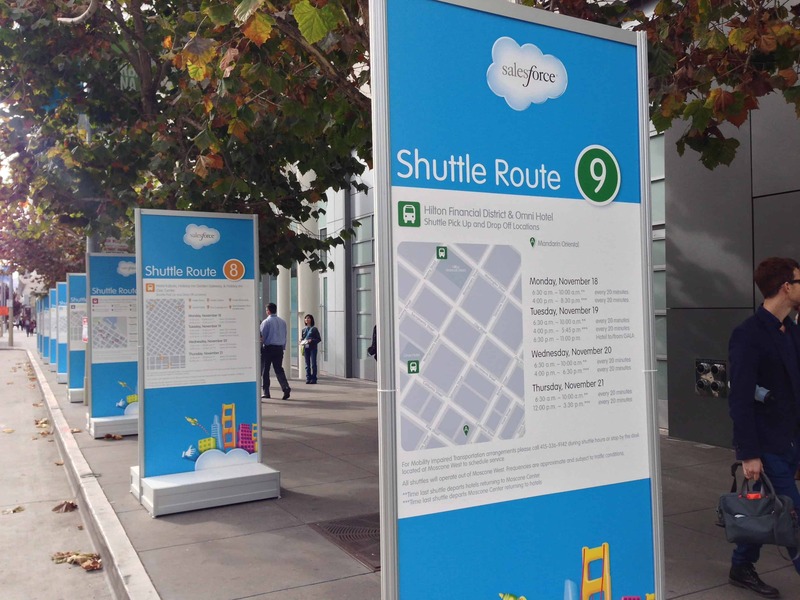 In addition we streamed all the data to the Dreamforce Transportation Command Center for dispatch and assignment, along with proactive monitoring of the system’s battery levels, charge states, whether any shuttle was off-route, the spacing between them and so forth. 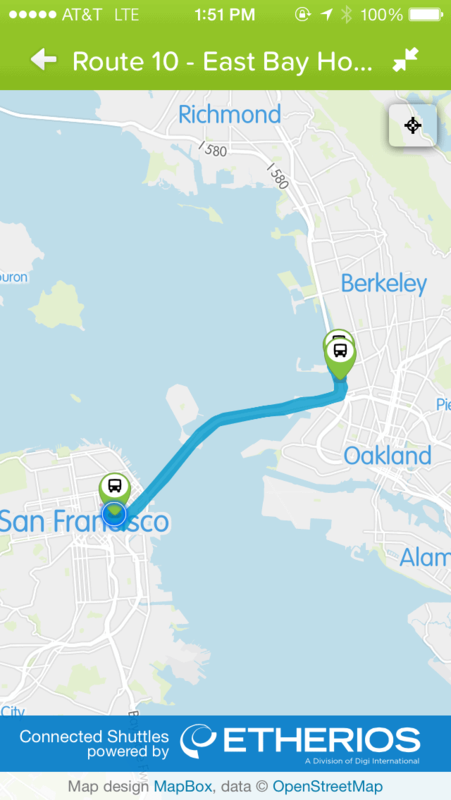 And 100,000 people got where they wanted to go!